Chaturang Theatre Festival in Goa Begins Today! 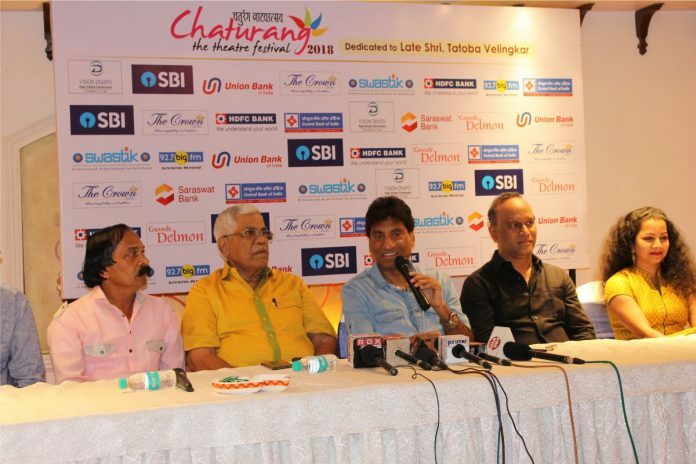 Home Goa News Chaturang Theatre Festival in Goa Begins Today! Swastik’s Chaturang Theatre Festival which begins today on 12th October 2018 at DMK Kala Academy- Panjim. The event will focus on well appreciated and critically acclaimed plays in Hindi, English and Marathi, this year 2 stand up comedians will be staged. The Chaturag Theatre Festival is dedicated to the great Goan thespian Late Tatoba Velingkar of Veling. Swastik has been organizing Chaturang Theatre Festival for six consecutive years and it has been a regular feature of the cultural landscape of Goa. Top Bollywood and T.V actors naming a few Paresh Rawal, Padmini Kolhapuri and many more have performed at this festival. The festival’s 7th edition will kick-off with a Hindi stand-up comedy show by ‘The King of Comedy’ Raju Srivastava, which will take place on Friday 12th October 2018 at 6:30 pm. On Saturday 13th October 2018 at 3:30 pm a Marathi Play ‘Challenge’ will be staged. 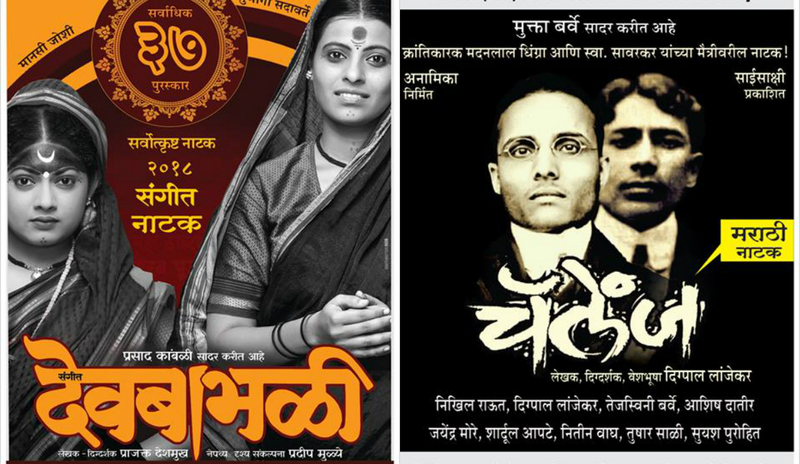 It is a critically acclaimed Marathi play which is making waves all over Maharashtra. Following which on Sunday evening at 7:30 pm there will be an English stand up comedy show by two versatile comedians of this generation, Sorabh Pant and Anirban Dasgupta. The last day of this festival Sunday will begin with a fun-filled humorous story of that drama, ‘Vastraharan’ which made quite a sensation when it was staged for the very first time in February 1980 by Machchindranath Kambli. On the same Sunday at 3:30 pm there will be an award-winning Marathi Musical Play titled ‘Devbabhali’ which will be staged. The concluding show of the Theatre Festival will be an English play by Bharat Dabholkar titled ‘That’s My Girl’ starring Ananth Mahadevan, Shweta Rohira and Ananya Dutta. Next articleRadisson Blu Resort Goa kicks off Navratri celebration with Dandiya Raas!